One of the myriad of major-label-backed independents that emerged in the early 1990s, Giant Records was founded in 1990 by manager Irving Azoff and was Warner Bros.’s replacement for Geffen Records, which had been bought by MCA earlier that year. With the exception of the very first Giant release, it used the catalog numbers that were reserved for Geffen releases had it stayed at Warner Bros. Azoff wanted to name the label Big Records, but that name was taken by an independent company. 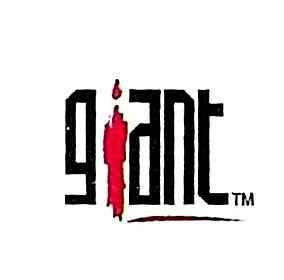 Giant was never in-line with long-term artist development like its distributing label was at the time. Many artists left the label after only one full-length release, or their follow-up albums were never released after being recorded because of label politics. During its early days, Giant had stretched itself too widely, so it consolidated in the mid-1990s, focusing primarily on singer-songwriter rock and alternative country. Azoff also grew tired of Warner Bros.’s shifting management at Warner Bros. after the great scuffle at the WEA labels of the mid-1990s, during which WB co-chairmen Lenny Waronker and Mo Ostin were forced out, so European distribution was moved to BMG. Giant had a sub-label named Revolution Records that was active during the time of Giant’s consolidation, but it was eventually absorbed by its parent. In 2000, shortly after the announcement of the merger between AOL and Time Warner, Warner Bros. bought its half of the label and it was shut down. The last-ever Giant release used the name that Azoff wanted to call his label in the first place.